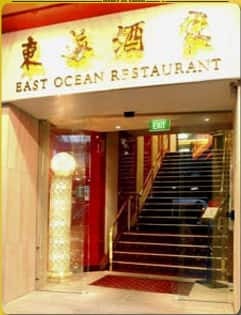 East Ocean Restaurant is located in Sydney's Chinatown precinct and its large room with Chinese panels on the walls, red patterned carpet and cushioned seats gives way to a busy and friendly atmosphere mixed with authentic Cantonese cuisine. 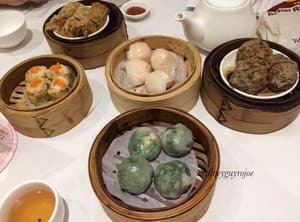 Enjoy the trolleys of steamed and deep fried dumplings, Dim Sum, rice and noodle plates and rolls, barbequed meats and more on the lunchtime Yum Cha trolleys. 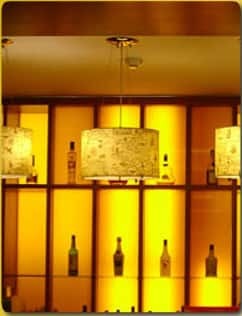 The restaurant specialises in live seafood which can be enjoyed with the extensive dinner menu. The restaurant is open for bookings and large functions with a banquet meal. The venue is licensed though BYO wine is also accepted and takeaway is available. It's been years since I've had yum cha at East Ocean and it's as good as I remember. 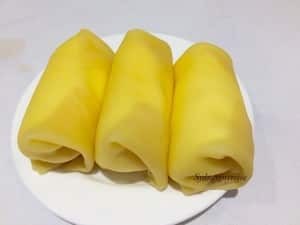 The steamed rice noodle roll with prawn (har cheong fun) has always been a favourite. Firm, plump prawns are enveloped in soft, satiny noodles and served with sweetened soy sauce. Great yum cha restaurant in the city. Great variety of dishes on offer, food smells good and was delicious. 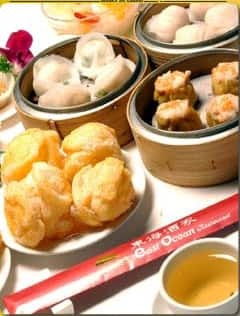 It's not one of the cheapest yum cha restaurants in Sydney, but it is definitely one of the best. The friendly staff very frequently stopped at our table, each time with a wide range of different dishes. There was a bit of a wait for egg tarts, but the freshness of them was well worth it.